When thinking of what to include to make the best possible 900 dollar gaming PC build, I really put a lot of thought into how long this computer could last the person building it. With this build, you will be getting something that will not have to be upgraded for years and can easily run games on ultra settings. So if that’s what you were looking for you’ve come to the right place. I only ever use a screwdriver when I’m building a gaming PC and that’s all you truly need as long you build your PC on a hard floor surface. I’d pick up the static wrist band if you do feel slightly nervous about it, since their so cheap. I understand that building a PC can be a scary process so below is a video that I found both informative and right to the point. I would recommend you watch it while building your PC, but if you want a more information on how to build a PC check out my How to build a PC Page. While a video might be helpful, I understand that you still might have questions and invite you to leave a comment below so that I can answer any question you may have about building a PC below in the comment section. At $900 any build worth its salt should produce an amazing PC that will blow your socks off, but this build just isn’t any build it’s a build from a guy who’s been building PC’s for years and I can tell you without a doubt that this build is something that will make you a very happy person. I titled this build “Power and Control” because not only is this build very powerful due to the components inside, but it also allows you much more control over what you can do with this build in the future. Unlike my $800 gaming PC build which is more focused on maximizing power here and now, this build has the power, but also the ability to run SLI gaming due to its full ATX motherboard or you can just opt for one graphics card. This thing will easily chew up any game such as The Witcher 3, Fallout 4, and even GTA 5 at 1080p ultra settings of that there is no doubt, but if you were thinking of going 4k then you might want to check out one of my more expensive builds as this will run 4k, but it won’t be as smooth as this is really a 1080p build. Well, we are finally ready to get to the build to which I will breakdown every aspect of why I chose each component as well. I would really recommend reading every breakdown so you can know what you are actually getting. One final thing I want to say is that it’s okay to modify this build as it’s just a blueprint. A Pretty Awesome Video Card From Nvidia That Will Destroy Most Games! Not mandatory, but if you want a snappier OS, I’d recommend getting one. The Corsair Carbide Series Windowed Case looks very simple in design, but in reality, that’s the farthest thing from the truth. This case has it all and then some. When it comes to features, this case can easily compete with cases twice the cost and if you are okay with losing some of the stylistic design that comes with some cases then this is an amazing pick. The airflow is one of the main standouts of this case. It’s actually made with vents to help heat flow out of your PC which provides a cooler build. A cooler build is important because it extends the life of your gaming PC so that is definitely something to consider. Not only is this case packing great airflow, it also has some of the best cable management that I’ve seen in a case in this price range. This is great for beginners as it makes everything much easier to manage. This case is part of the reason why the build is named “Power and Control” because with this case you just have so many options that you normally just wouldn’t have at this price level. You are getting USB 3.0s, multiple fans, and removable drive bays for extra space. The Corsair Carbide 300r really is an amazing buy. I understand that some people might not want this case and would rather have another. Even though, I would really recommend this awesome case. Below is a link so you can pick cases that would better suit what look you are going for. Keep in mind that the video card is 277m long so make sure to check if the case has enough space. For this build, I’ve gone with the same power supply as my 800 dollar build for two reasons. The same maker of the case above also makes these power supplies so, they complement each other nicely and also because corsair makes very high-quality power supplies for an affordable price. The main point of a power supply is to power up the build, but most people don’t really think too much about power efficiency. At this price point, this build can certainly use up a great deal of energy, so I’ve decided to include this 80 bronze efficiency power supply which just manages energy better. This ends up saving you a good deal of money in the long run. The video card is the most important piece of a PC that is going to be used for gaming and the one that I’ve chosen for the build is going to allow you to play games on ultra for a long time. The graphics card I’ve chosen for this build is the EVGA Geforce GTX 1060 FTW+ Edition. If there ever was a graphics card in this price bracket that I could call future proof this would be it. The 1060 FTW+ has 6GB’s of RAM installed into it which makes this thing more than capable of anything games in the future can throw at it. Right now 6Gb’s is complete overkill for any games out right now so this card can easily run games without even slowing down. This card also runs quietly and you most likely won’t even hear the card unless you are playing a very graphically intense game (Which you will probably have your headphones on). This is due to the twin fans on top that cools the card very effectively. All in all, you won’t need to upgrade for a long time with this card in your PC and you will also be playing games on ultra with this. Really what more could you ask for in a video card? The I5-7500 processor is definitely a good CPU that complements the 1060 and easily does its job when it comes to gaming. Not only is the CPU quick and snappy, but the installation for this CPU is particularly easy. This CPU can also be overclocked which leads to faster performance if you would like to do that. Some games such as MMO’s are very processor heavy and the I5-7500 will easily be able to handle those games with ease. It hardly lags behind more expensive processors in the same family and is a great value. To wrap this up, the I5-7500 is something that will last you for years as this is actually in intel’s latest wave of processors and it just came out a few months ago. So not only will you be getting an amazing processor for the price, but also a very up to date one which extends it’s life even longer. For this build, I’ve chosen the MSI Pro Series Z270. It’s an ATX Motherboard that has an insane amount of features. The MSI Z270 offers AMD Crossfire gaming and Nvidia SLI (two graphics cards) as well space for 64 Gb’s of RAM (You will not need this much RAM at all).This is definitely a great motherboard for the price as other motherboards for similar features cost a great deal more than this one. MSI is a great company when it comes to gaming products so theirs not much to worry about when it comes to the actual company behind the product. If you have any problems with this motherboard, getting a replacement is a relatively easy process. The RAM for this build is the Ballistix Sport LT 8b’s (4Gb’s x 2), except that instead of DDR3 these are DDR4. DDR4 RAM is a little faster than DDR3, and it seems to be what most newer motherboards are using. Other than that you are getting two 4Gb sticks that will make 8gbs in total. 8gbs is really the bare minimum and in the future, I would recommend going to 16GB’s just to further future proof this build as RAM isn’t really that expensive. I’ve included two 4gbs instead of one 8gb simply because it manages memory better as each stick of RAM can focus on one specific task making for a slightly snappier experience. An example I like to use is multiple wells. Yes, you can have one deep well, but if you had two medium wells you will draw water faster. The hard drive I chose was the Western Digital Blue 1TB Hard Drive. This is all the space you should need for a while, but you can always get more in the future when you start to run out. Western Digital has never failed me and I can’t recommend their hard drives enough. You could always go for the Western Digital Black in the future which is even better for gamers due to its cache speed, but the blue is cheaper and most people won’t even notice a difference. I would also recommend getting an SSD in the future where you put your most favorite applications on since this will offer much snappier load times. I didn’t include this in the build because I wanted to focus more on gaming performance and the SSD really isn’t mandatory at all. While the SSD isn’t mandatory I’d still like to explain what it is and why you might want one. I’ve chosen the PNY CS1311, simply because of how affordable and reliable their SSD’s are. You’re getting 240GB’s which isn’t much. While you can install anything on an SSD, ideally you want to install your OS on it, as it just makes everything feel that much faster. If you care at all about speed or think you’ll care in the future, it might be a good idea to pick this up. The reason why this item is optional is simply because SSD’s are just really expensive for at the moment. If you really want slightly quicker load times, I’d get it, but if that doesn’t bother you I’d forgo it for now and maybe add one in as a future upgrade. I did not include an optical drive in this PC build because most people no longer use them. I can’t remember the last time I have used an optical drive and I’m betting most of you can’t remember either. Most people argue that they need them for the OS install, but you can also use any USB you have lying around. Anyway if you did want an optical drive I’ve found one that is cheap, but is still a quality product. Now that you know all about this build, hopefully, you understand why I titled it “Power and Control”. You are getting some amazing power in the form of the GTX 1060 FTW+ which is one of the best graphics cards out right now and you are getting control in the form of everything being able to be upgraded in the future. My upgrade path for this build is to wait a few years and when you start to see a decline in performance just get a second GTX 1060 FTW+ Edition and it should boost your performance back up for a few more years. You will also need to get a new power supply, but the CPU should still be good. If you make this build there’s no doubt in my mind that you will be running games on 1080p 60 frames per second and this should last for a good deal of time. This build is as future-proof as you can get at this price range and I know anyone who makes this is going to have an awesome time gaming. Important: If you do make any changes to this build please leave your final build in a comment below so that I can check to make sure that everything is compatible so that you aren’t wasting your money. The Monitor that I recommend is the Acer 23.8 inch R240HY LED monitor. My major reason for recommending this monitor is because of the price. This has to be the cheapest top tier brand monitor you can find and when you throw in that this monitor is also high quality it just brings this monitor to a whole new level. This monitor is also affordable enough to wear you can buy two without even breaking the bank and actually have a multiple monitor setup for your PC as this $900 build surely has enough power. Gaming Keyboard and Mouses can be pretty expensive, but I’ve found a combo set that is VERY affordable but is also probably one the best gaming sets I’ve ever used. The keyboard feels almost like its mechanical when it’s not and the mouse has many customization options so you can find out what works best for you. I really feel every PC gamer should have a gaming set and if you’re trying to get one on a budget then this is the one you should definitely consider. The HyperX Cloud Gaming Headphones aren’t just some good cheap headphones, these are probably some of the best gaming headphones I’ve ever owned and easily beat other name brand headsets that cost much more. These headphones have noise cancellation features that really help you get immersed in the game because I literally cannot hear anything when I put these things on while playing games. You are also getting some really amazing bass, so if you’re a bass lover like me these are amazing. Not to mention these things look very stylish and easily look to be worth more than their actual price. Hey, If you need WIFI this is a simple plug and play adapter that can transfer up to 600 MB’s per second. It’s very affordable and it does its job very well. What more can you ask from wifi adapter? I would recommend getting an ethernet cable if you can, but if not, the EDUP AC600 is a great alternative. Okay so, you have your PC built and you also have all of your peripherals, but there is still one thing that you need before you can start playing all those awesome games. You need to install and operating system. What’s an operating system? It’s an application that manages all other applications on your PC such as games. There are thousands of applications that can be installed onto your PC, but When it comes down to operating systems you really only have two viable options for PC gaming and those two options are Linux and Windows. Both have their pros and cons so below I’ll explain why you should get one and why you shouldn’t. Linux isn’t as well known as windows, but that doesn’t mean that it doesn’t have its own dedicated fanbase. it’s estimated that around 500million computers have Linux installed onto them. A good thing that really sets Linux apart from other major OS’s is that it is very customizable due to the way it was designed and if you like being able to control every aspect of your PC then Linux will help you do just that. One other amazing fact about Linux is that it is absolutely free to use. Linux isn’t a company and it isn’t run like one. One of the main issues with Linux is that bugs usually take way longer to fix then windows. Another issue is that Linux isn’t very beginner friendly due to how customizable it is so if you aren’t used to OS’s other than windows then Linux’s freedom might actually annoy you. The worst thing about Linux is that not all games directly support the OS which can cause many problems if you are trying to game on Linux. Windows is the reigning OS champ and seems likely to stay that way for a long time, but that doesn’t mean everything is fine with the OS. The major pro for Windows is that since this is the largest OS, all gaming companies are making games specifically for windows which in turns means better game optimization so you get better frame rates and less bugs. Windows is also quicker to fix bugs and other issues with their OS since they are an actual company. 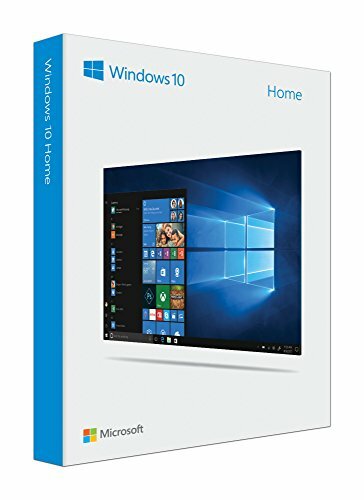 The really only major negative is that the Windows OS can be expensive if you buy a legit copy and alot of people don’t feel that cost is justified so they usually end up getting it by other means. What Version Of Windows Should I Get? I get asked this question a lot. Many people are still in love with Windows 7 and 8 and while they’re good OS’s, Windows 10 is now my top recommendation for people building gaming PC’s. Why? Well simply because Windows 10’s usability is taking the best from the previous OS’s and PC gamers are now starting to notice performance bumps using Windows 10. With all this going for it, Windows 10 is the top OS pick for anyone building their PC. 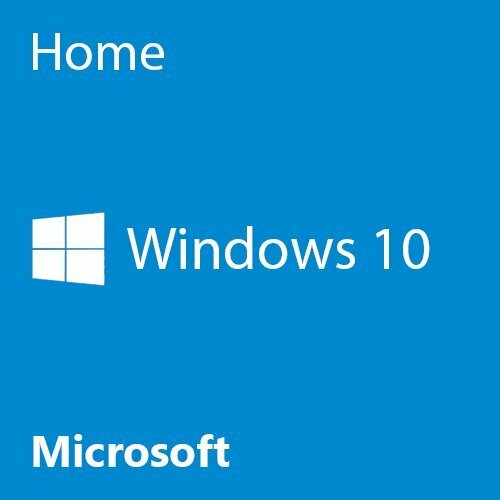 Below I’ve included both a USB version of Windows 10 and also a disc versio for those getting an internal or external optical drive. As I close out this post, I hope you’ve ordered all your parts and are now getting ready to build a PC. I really can’t put into words how much fun lies in store for you as gaming seems to become something greater daily. This build will definitely last you for a long time and could even handle creating games if that’s something you see in your future! It’s all possible with my “Power and Control” build. If you need any help or would like to discuss this build please feel free to leave a comment below! Also, what do you plan on naming your PC? Tell me below. Get The Power and Control Gaming PC Build! That should work no problem, make sure to subscribe to one of our social media account and post your build when finished – We’d love to see it! Hi! i was wondering wich model of motherboard from asrock you used again in your previous build? also, i have a site that says that the power supply connections from the cx600 2*6 are not enough for the graphics card because it requires a 8pins connection, will this be a problem? PS: forgot to ask, i can not find any PNY SSD in belgium here, could you recomend a different brand of SSD that is more or less equeal to the PNY? thx! If you can’t find a PNY SSD, I’d recommend you just get any other reputable brand such as Sandisk, or Samsung. They’re both reputable SSD creators and are definitely comparable to the PNY SSD. I used the ASRock Z170M in my previous build. The CX600 features a 6pin connector along with a 2pin PCIE connector for video cards so it’ll work just fine. If you have any other questions, let me know! Really enjoy the build! Looking to install some LED lighting strips inside the case, which ones would you recommend to go with? I’d recommend getting the Autai LED Light strip. It’s a lot cheaper than its competitors and is still good quality! It seems like there’s no CX600 currently in my location. That’s actually a better choice so by all means! Hey there I really like the build you posted above I was just wanting to check if either of these shells I’m looking at using would be compatible with the build. Those would both work with this build. Happy Building! I am looking for a build that could handle a few games, but mainly it will be used for engineering applications, CAD programs and such. Would you recommend any upgrades or downgrades to either give me better performance and save me money. Yes, the Radeon RX 470 is compatible with this build. I’d recommend getting an I7 then! Downgrades? Maybe getting a cheaper case, but that’s about it if you don’t want to sacrifice on quality. Your website is absolutely wonderful let me start with that. I am probably going to order in the next couple of days and am stuck between this and beautiful power. With the extra $100 what kind of boost in performance am I going to see? The extra $100 will get you the 1070 which definitely is a little better than the 1060 in this build. I want to build my son a pc for Xmas. Which build you suggest for a newbie pc gamer? Hey, it really depends on what games your son is trying to play. If he’s more into indie titles that aren’t as graphically demanding like Minecraft, I’d recommend getting one of the $500 or $600 gaming PC builds, otherwise if he’s wishing to play triple-A game’s like battlefield one then I’d get a build that’s $800 or up. Would 550watt power supply be good enough? You’d be cutting it close, but you should be good. I’d recommend getting one that’s at least 600 watts when you can though.